For anyone wanting to get to know different ways of doing business, we would love to welcome you for a daily immersion into our work. Accompanying Red Ochre staff to meetings and trainings to get insider knowledge and contribute to the discussion. Visiting leading social enterprises in your area of interest to have direct conversations with the people who make them happen. Getting involved in events, practical visits and meetings to actively work on issues that you are interested in. Having your own desk, chair, wifi and a home base to feel part of the team and to give you time to follow up meetings and connections in your own way. Having your own time and space in the programme to follow up connections and make your own meetings and if you are from outside the UK, time for exploring London. 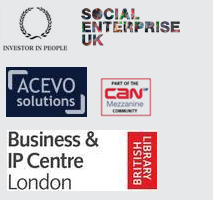 Contacts, ideas, networks and connections that come from being part of the day to day operations of a leading social enterprise development organisation. A grounded reality of how you can make changes in the field that is of use to you, e.g. resource use, innovation, looking after each other or simply a better understanding of social enterprise in general. Charity leaders who want to develop their organisation back home. If you’re interested in exploring the opportunities around an attachment please contact Uday or Robert for an informal conversation.